Waiter App, Better User Access, Discount Rules & Tags in Mobile POS. Here’s a roundup of the new features we have rolled out to SlickPOS this January. If you don’t see these features in your account, follow these instructions to get the updates. If you run SlickPOS on mobile or tablet, you can get the updates from Play or App Store. 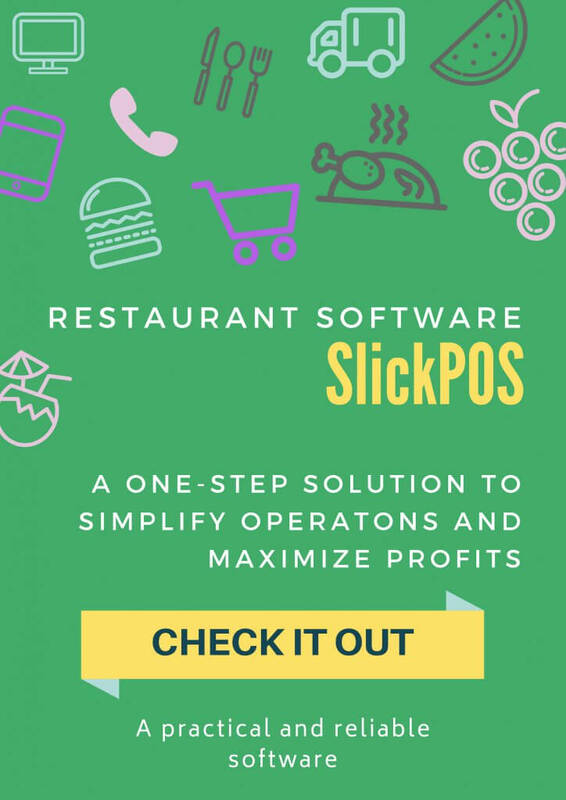 If you are new to SlickPOS, signup now and get started with SlickPOS for free. Automate table orders with the Waiter App. Dine-In restaurants can now equip their waiters / captains / servers with the SlickPOS Waiter app to take orders easily. The Kitchen Order Tickets (KOTs) are automatically sent to their respective kitchens. Multiple waiter can be added and all orders are synchronised with a central SlickPOS Desktop at the cashier. Create users who have access to specific apps like Inventory, etc. Along with Cashiers and Managers, two new user types are available now – App Users and Waiters. App Users have access to SlickPOS Apps but not billing. You can also manage permissions within apps like Inventory and Analytics. 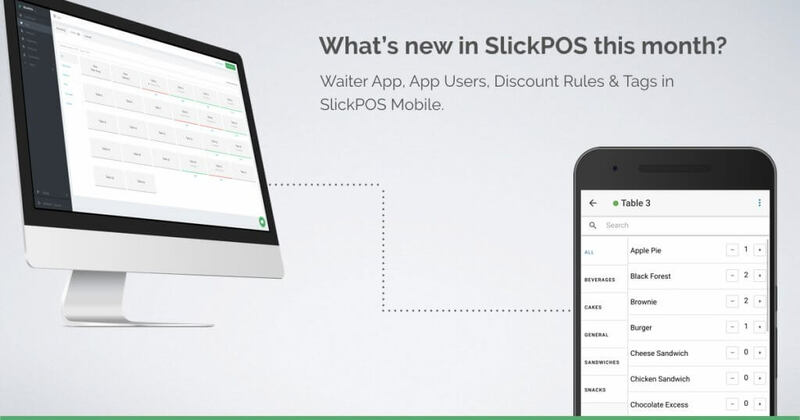 Waiters have access to the new SlickPOS Waiter app. Faster order punching with item quantity increase/decrease buttons. We have added a Selling Preference to display item quantity increase/decrease buttons. In case you prefer to use the classic input box you could set the preference accordingly. Capture delivery address and tag orders on SlickPOS Mobile. You can now take delivery orders from SlickPOS Mobile. For a saved customer, his previous address is automatically retrieved. Order tagging is also now available on our mobile POS – you can tag phone orders, online orders etc. Offer conditional discounts on SlickPOS Mobile. SlickPOS Mobile now supports condition based discount rules like “Happy Hours”, “10% off on purchase above 1000”, etc. Discount rules can either be automatically applied or used as a coupon code that’s sent to customer and entered while completing the order. Easily setup Variants and Add-ons using Import/Export. We have simplified our variant and add-on setup process by allowing CSV import and export. We hope that you liked our updates, do send us a message if you have any suggestions or if you would like to see a demo. See you again in a month’s time with the next round of updates!